Google has launched a new extension for Chrome called “Save to Drive,” enabling users to save web content to their Google Drive. After installing the extension, users will get an additional icon in Chrome, letting them save an image, an entire page or an image of the visible page to your Drive. Users can also save the HTML source code of a webpage or a complete webpage in web archive (.mht) format. Finally, they can simply right click on web content to save it directly to Drive. 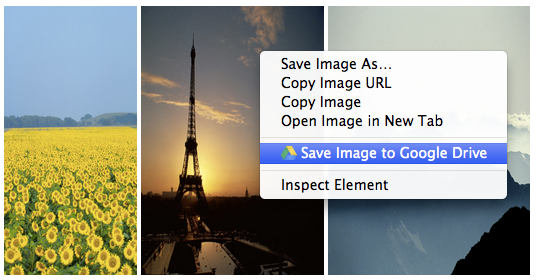 The extension offers several options to manage saved web content: Users can immediately open the file in Drive, rename it or view it in their Drive list, which provides additional options, such as sharing the file or placing it in a folder. Google has also added new options for managing the images users store in Drive, including zoom by scrolling, new “fit to page” and “100%” buttons, as well as the ability to comment on a specific part of an image.